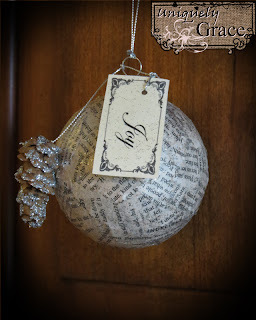 Here is a brief photo post of another one of my ornaments. 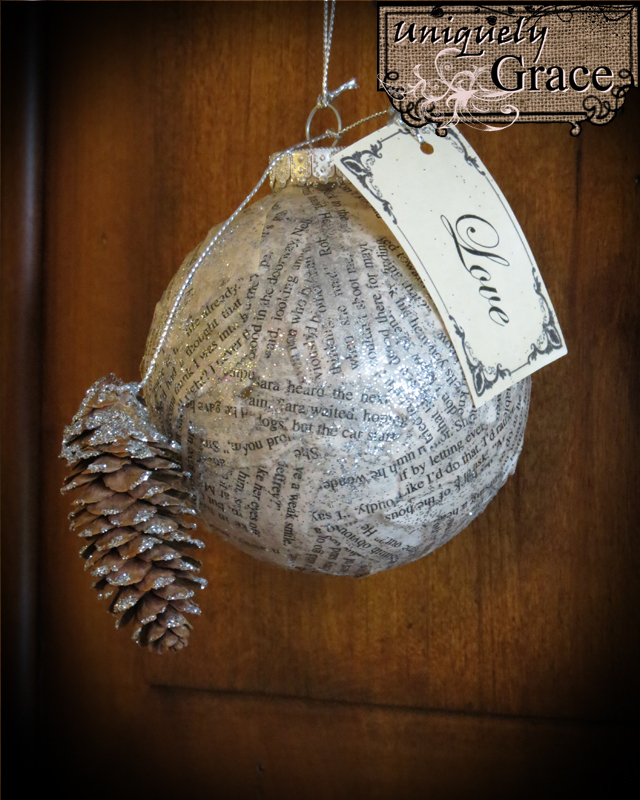 This one is made up of glass 3" ball ornaments, book pages, glitter and pine cones. Enjoy! 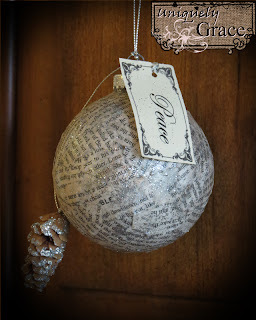 They are paper mached book pages onto glass balls. 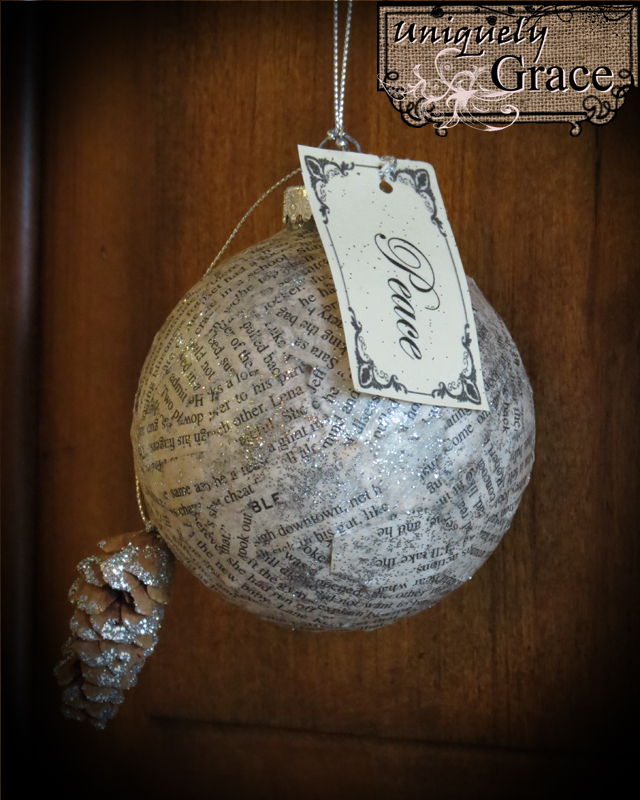 For best results use Helmar's Decoupage & Craft Paste for all your paper mache needs. They are now for sale in my local Book Store, Dinah's on D. St. and my Etsy.com shop, UniquelyGrace. 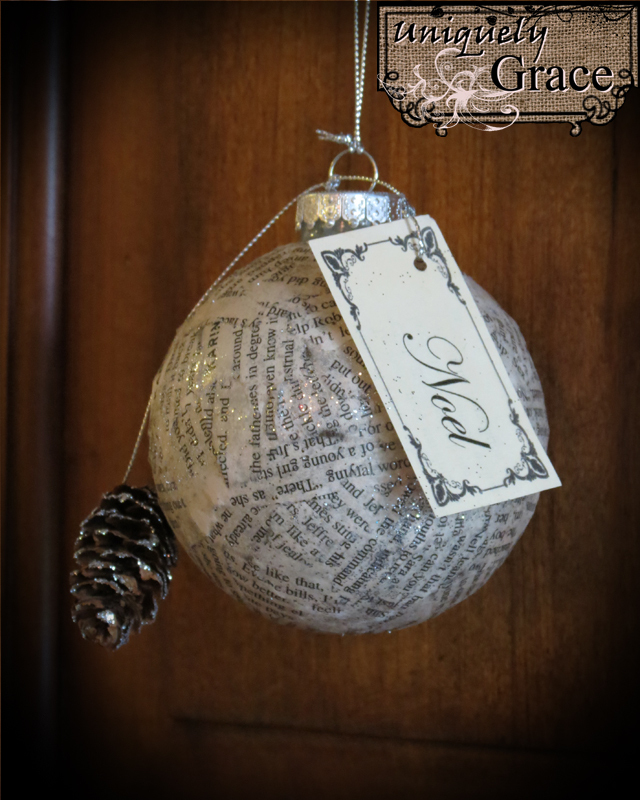 Ejoy and have a wonderful holiday season!